While the Nike Air Max 270 had a strong year in 2018, the Swoosh plans to ride the wave into 2019 with more color options to select from. 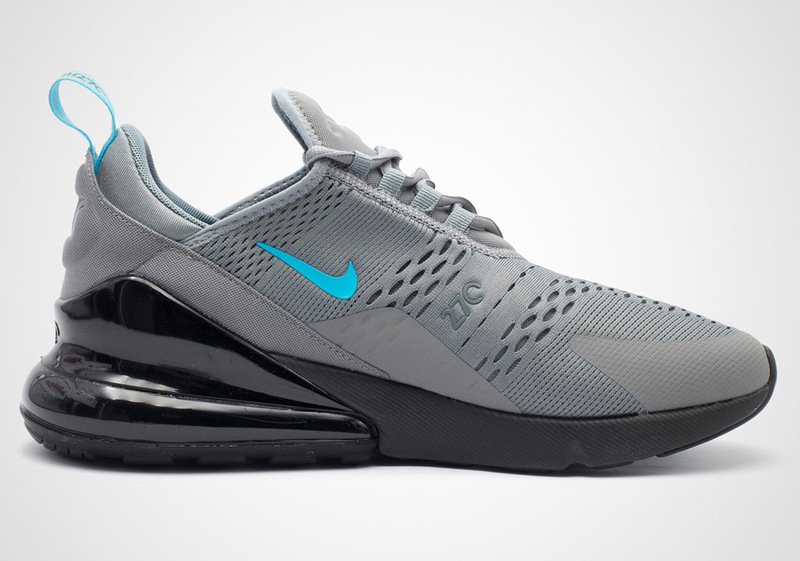 This new Air Max 270 comes dressed in a Cool Grey and Blue Fury color scheme. It features a Grey-based upper paired with Blue contrasting accents on the branded areas. A Black Air Max heel unit, midsole and outsole completes the design. For those looking to scoop these up, you can find sizes already available from select overseas retailers like 43einhalb. A stateside release should follow soon.